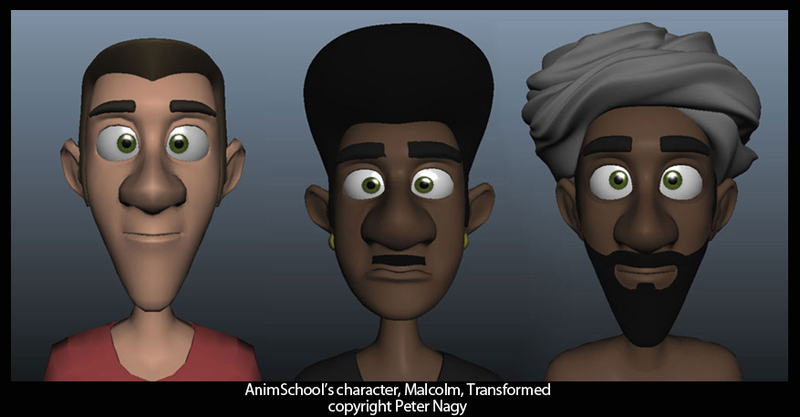 When we first announced the public release of the Malcolm rig, we were very excited to see what the animation community would produce. We were gratified to see this past month’s 11 Second Club winner again using our Malcolm rig. 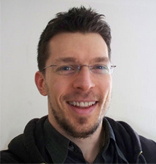 Congratulations to long-time contestant Peter Nagy! Peter, thanks for being a part of this interview. 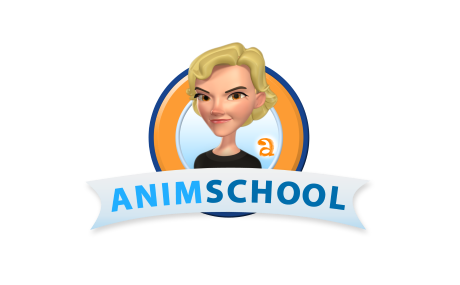 Can you start off by telling us a little bit about yourself, your background and how you became an animator? I started this profession at Kecskemetfilm, in Hungary in 2000 as an inbetweener. This studio took part in the animation of Secret of Kells and the fresh Chico & Rita. I moved to Budapest after that, where I worked in Mr. Bean: The Animated Series. I have been using traditional animation technique since 2005, which I like a lot. Since there was less and less 2D work, I took up digital animation, from about 2008 onward. At first I used CG 2D technique (Anime Studio), then I worked with Maya, which I have been using ever since. The latest known production I worked on was Assassin's Creed Revelations at Digic Pictures. Presently, I’m lead animator at an advertising studio, Gyár Post Production. Why did you decide to use AnimSchool's Malcolm rig for your animation? More and more new characters have been appearing on 11 Second Club lately, and people always welcome animations related with fresh rigs. I heard about the appearance of Malcolm, but at that time only his XSI version was available. My hard-working Hungarian colleagues at Puppetworks made the Maya version of the character and sent it to me for testing. However, at that time I was so busy I couldn’t have a look at it. Only at the beginning of this year could I manage to open the file to test it. In your first promo video the animation of the character is amazing and I was interested in the rig. Only then I saw that your Maya version is available too, so I used that one. Was this the first time you used ever Malcolm, or did you have any previous tests to warm up before? The very first time. Previously, I didn’t even have time for a wink-test. I’m very pleased that my first animation with Malcolm became so successful. What was it like working with the Malcolm rig? It looks like you were able to get some strong lines of action and appealing poses. Malcolm is the best rig I have ever worked with! 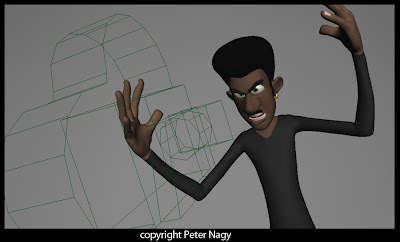 (And I’m not only saying this because I won with Malcolm) Until now, I have always thought that there are no bad rigs, just weak animators, but I have found out, it is crucially important how much latitude a rig can give to the animator. At first I got frightened by seeing the amount of controllers, but with a little practice, it can easily be seen which controller should be used to which action. It was a great help that I could change body position by moving the hip or the abdomen, and the shoulders kept their position at the same time. I loved that I could handle the arms in arch and that I could stretch the character. These are very important factors on a rig for a nice cartoony animation. I'm impressed with your Malcolm modifications. Malcolm has pants, shirt, and shoes, but you've managed to make a totally different wardrobe. My favorite part is the new foot with little toenail pieces to suggest toes. Very creative and all your changes add up to a convincing new look. How involved was that process and what methods did you use? 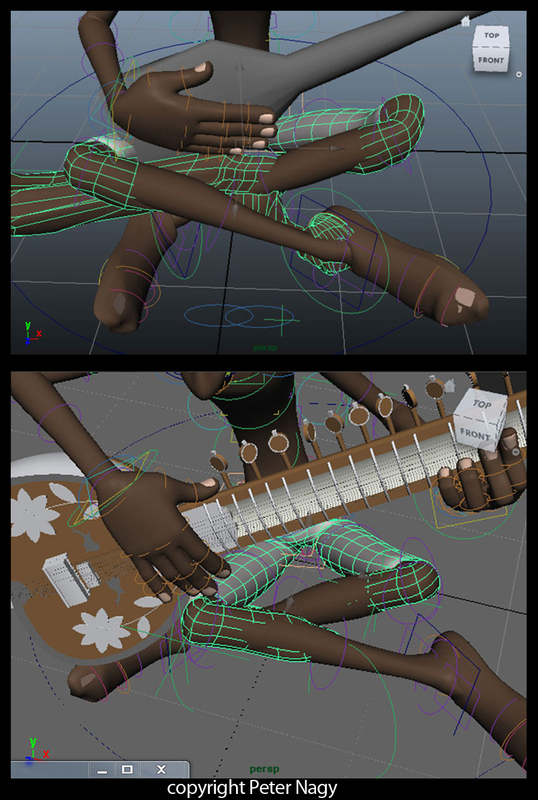 At first I thought that for all those naked body parts a supplementary foot model would be needed for the character (I used this supplement for a previous work of mine, in Pinocchio). But in the end, I managed to transform the sneaker to a foot. Separate toes were not made, but with the toenails, it had the foot-effect. It was a much greater task to put together the creasy trousers and the leg-elements. This is the reason why the leg moves so limited in the scene. I also had to put together two objects at the neck, this part required vertex animation for the final appearance. From the camera’s viewpoint, the head luckily covers out this part and the render blurred together these small irregularities on the skin. Mother Earth - Winner of 11 Second Club January Competition from Peter Nagy on Vimeo. Watch for Part 2 of this interview, coming soon. What did you do to tweak Malcolm's face to create the two characters?